Mizunami city is located in the southeast of Gifu Prefecture, Japan. 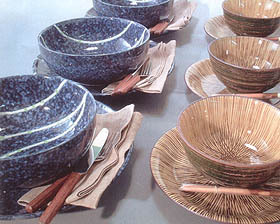 Blessed with an abundance of fine quality clay for the ceramic industry, Mizunami has a history of ceramic production dating back to the 7th century and the city's tableware industry has been known for its quality and time-honoured production techniques. With the combined power of good materials and quality, factories in Mizunami are the main suppliers of tableware produced in Japan. 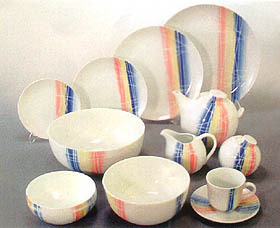 Ceramics production in the area has continued energetically for over 1000 years, during which time it evolved new and innovative techniques in different periods to meet the needs of the times, just as it is now looking forward to the future of tabletop manufacturing.